Salvador Dali (1904 – 1989) was one of the greatest and most successful artists of the 20th century. He was also one of the most colorful personalities of the period known for his eccentricities and exhibitionist acts. Dali’s life, starting from his childhood and till his death, is full of interesting incidents. In his childhood, he threw a friend from a bridge; in his youth he was expelled from the San Fernando Academy of Art; and in his years of fame, his exhibitionist tendencies reached their peak and his love for money made him do odd things. Dali also had an unconventional relationship with his wife Gala during which she had multiple extra-marital affairs with his permission. Here are 10 interesting facts about Salvador Dali, the most renowned Surrealist artist and one of the most interesting figures of the 20th century art world. Salvador Dalí was born on May 11, 1904, at 8:45 am GMT. He himself described this moment as suffering “from the horrible traumatism of birth”. Yes, Salvador Dali claimed to explicitly remember his prenatal experiences and the ideal world that he came from. He said that he remembered his existence in the womb as though it was yesterday. In 1932, Dali created a painting titled Fried Egg on the Plate without the Plate. This painting is supposedly inspired by one of his intra-uterine memories. Dali said that the most splendid vision he had while in the womb was that of “a pair of eggs fried in a pan without a pan.” He reproduced this vision in this painting along with the colors he saw: red, orange, yellow and bluish; the colors of flames. Often his obsession with this fantasy is attributed to the fact that he yearned to recreate the paradise-like ideal world he remembered in contrast to the stark reality of this life. Before Salvador Dali was born, his parents had another child also named Salvador. However, this child died due to a stomach infection when he was less than two years old. Nine months after his death, Salvador Dali was born. 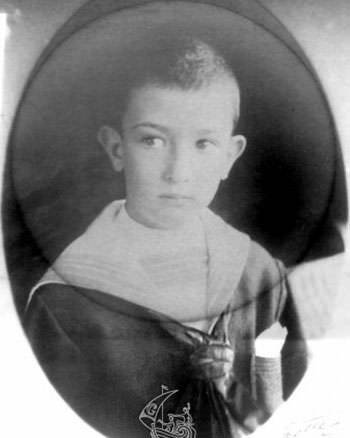 As the second Salvador was born exactly nine months after the death of the first Salvador, Dali’s parents began to think that Dali was a reincarnation of their first child. 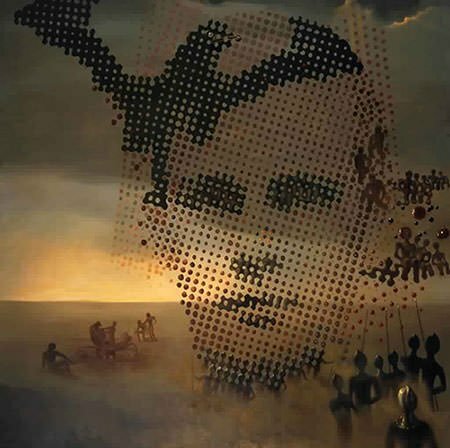 When Dali was five years old, he was taken to his brother’s grave and told by his parents that he was his brother’s reincarnation. This had a huge psychological effect on the young Dali and he started believing in this concept. A lot of Dali’s later works contain references to his dead brother which he believed was the best part of him. Among these works is his 1963 painting Portrait of My Dead Brother. Salvador’s mother pampered him and was protective of him. This contributed in Salvador developing into an attention-seeking and whimsical child. 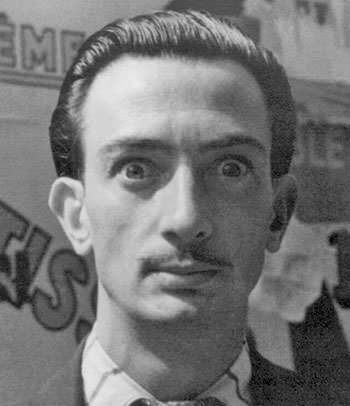 The young Dali had outbursts of anger during which he attacked people for no apparent reason. This included kicking his sister Ana Maria, who was four years younger than him. The worst example of his sadist behavior occurred when, noticing that the safety railing was missing from a bridge, he threw one of his friends off the bridge. The boy fell 16 feet and was seriously injured. However, the young Salvador felt little remorse for his friend. He just calmly sat and ate cherries as he watched his friend’s mother caring for her bloodstained child. Moreover, Dali was known to fling himself down a flight of stairs simply because he enjoyed the pain he suffered. In 1922, Salvador Dali enrolled at the Real Academia de Bellas Artes de San Fernando (San Fernando Academy of Art) in Madrid. His eccentricities grew to a new level here as he wore make-up and grew his hair long; and grew a flamboyant mustache, influenced by 17th-century Spanish painter Diego Velázquez. He also dressed in the style of English Aesthetes of the late 19th century. Dali didn’t think much of his teachers at the Academy as he thought that they were out of date with the latest trends in the art world. He said he learned more about the latest developments in the world of art from avant-garde art magazines. Dali’s sense of self worth was on display during his year-end oral exam at the Academy. He refused to speak before the three professors who were examining him, claiming that he knew more than them and that he was infinitely more intelligent. He was consequently expelled from the academy. In 1929, Salvador Dali first met Helena Diakanoff Devulina, better known as Gala. Gala was 9 years elder to Dali and at that time she was married to the French Surrealist poet Paul Éluard. Despite this, the two started having an affair soon after they met. 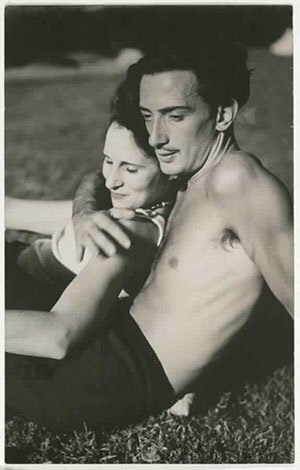 Gala ultimately left her husband and married Dali in 1934. Gala and Dali had an unconventional relationship. It is known that Gala had numerous extramarital affairs, mostly with young artists. One of these affairs was with her ex-husband Eluard. Dali knew about these affairs and in fact encouraged them. Salvador Dali was a practitioner of candaulism, a sexual practice or fantasy in which a man exposes his female partner, or images of her, to other people for their voyeuristic pleasure. Nonetheless, Gala and Dali had a long and successful relationship during which she was his constant and most important muse; as well as his greatest passion and his business manager. Dali left no stone unturned when it came to shock value and attention seeking. Whether it was showing up for a lecture in Paris in a Rolls Royce stuffed with cauliflowers or dressing himself up in a diving suit to address an audience. At events, he would go all out to create a scene and a situation that would garner attention. He once attended a masquerade party with Gala. She was dressed as the Lindbergh baby while he took on the part of the kidnapper. He later had to apologize for this stunt since the crime had disturbed the Americans gravely and they thought of Dali’s antics as distasteful. 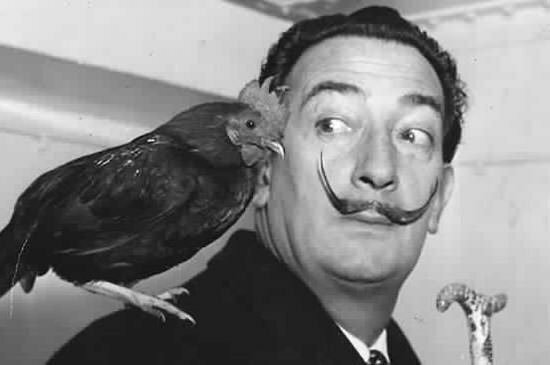 Piercing eyes; unkempt hair; a curled up mustache; and the presence of chickens and other creatures on his head; were antics that Dali often employed to attract attention and to enhance his image of a crazy genius artist. Surrealism was an influential art movement whose artists rejected the rational in art; and instead aimed to channel the unconscious to unlock the power of imagination. Dali went on to become the most renowned as well as the most financially successful Surrealist artist. 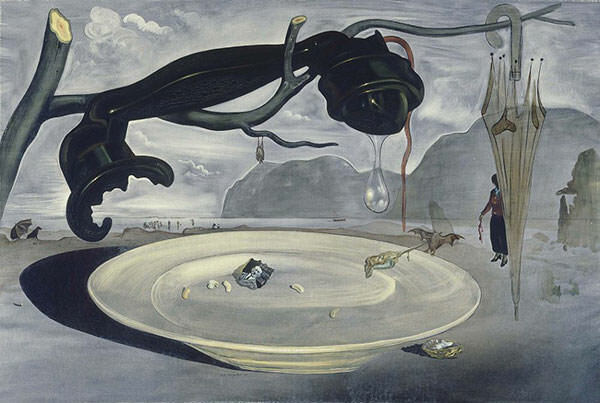 Among the most important contributions of Dali to Surrealism was the paranoiac-critical method. 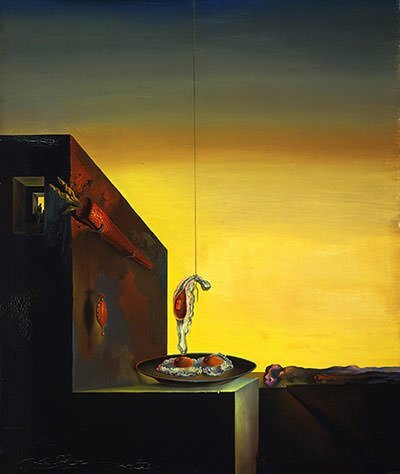 Developed by Dali in the early 1930s, it was a technique through which the artist attempted to tap into his subconscious through systematic irrational thought and a self-induced paranoid state. To achieve this state Dali would often stand on his head until almost passing out. The aspect of paranoia that was of most interest to Dali was the ability of the brain in that state to perceive links between things which are not linked rationally. In the words of Salvador Dali, the paranoiac-critical method was a “spontaneous method of irrational knowledge based on the critical and systematic objectivity of the associations and interpretations of delirious phenomena”. Salvador Dali openly claimed to have nothing short of a mystical love for money. He glorified dollars and would do anything for them right from designing the famous Chupa Chups lollipops logo to advertising for Lanvin chocolates, brandy and even alka seltzer, an antacid and pain reliever. To avoid paying bills at restaurants, Dali would create drawings at the back of the checks knowing that nobody in their right mind would ever cash a check with an original sketch by Salvador Dali on it. Dali’s love for making money brought him huge financial success and he had a personal fortune estimated at over $30 million dollars. 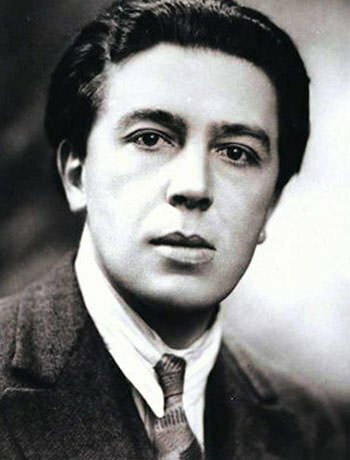 Dali’s mad love for money led to Andre Breton coining the derogatory nickname Avida Dollars for him. “Avida Dollars” is an anagram for “Salvador Dali” as well as a phonetic rendering of the French phrase avide à dollars, meaning “eager for dollars”. Salvador Dali was deeply attached to his wife Gala. In 1968, he bought a castle in Pubol for Gala. However, from 1971, Gala stayed there for weeks at a time and Dali was only allowed to visit her by written invitation. The fear that Gala would abandon him contributed to his depression and decline in health. In 1980, Dali was forced to retire from painting as his hands began to tremble due to a motor disorder. On June 10, 1982, Gala died. These two events worsened the depression of Dali and he lost much of his will to live. He deliberately dehydrated himself and it is speculated that this was a suicide attempt. In 1984, a fire broke down in the bedroom of Dali and he had to be rescued by his friend Robert Descharnes. This was possibly another suicide attempt. On January 23, 1989, Salvador Dali died of heart failure at the age of 84.